InSight is NASA’s latest spacecraft designed to study seismic activity and the internal structure of Mars. During 6 months of flight, InSight traveled 400 million kilometers and is now preparing for landing. On November 26, this device will land in the area called Elysium Planitia and begin its mission to explore the Red Planet. But you don’t really need to wait a month. 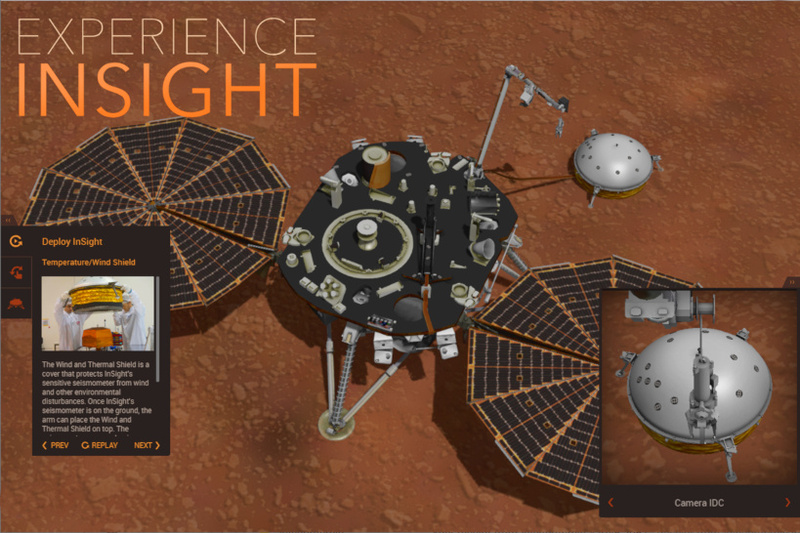 Right now you can familiarize yourself with the internals of the InSight lander, operate its robotic arm and carry out your own research in virtual space! This interactive application was developed by a group of 3D graphics specialists from the Jet Propulsion Laboratory. Using Blender and Verge3D, the team led by Brian Kumanchik with support from Soft8Soft developers created an engaging WebGL experience to give you the opportunity to explore all the details of this mission. Enjoy Experience InSight by following this link. 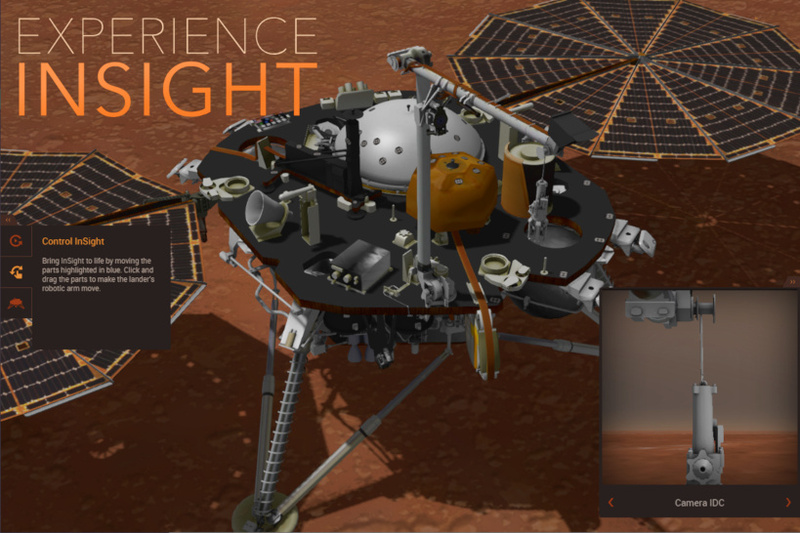 Click (or touch) and drag to explore this 3D visualization of the Mars InSight lander. Use the control panel on the left to learn about the lander’s components.